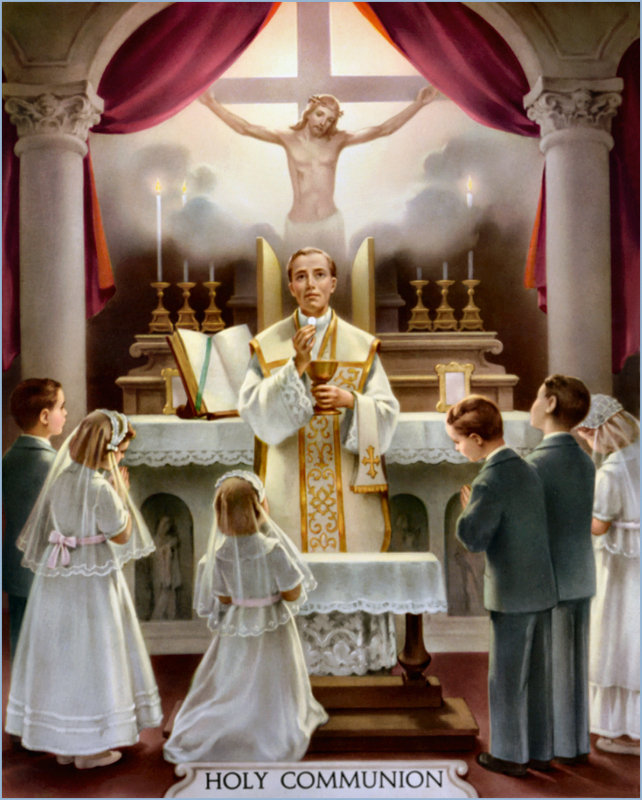 Many ask why at the Latin Mass the lay people only receive the Holy Host and do not also receive the Precious Blood of Jesus. This is explained very well in the documents of the Council of Trent. As of right now, the permission to the reception of the Precious Blood of Jesus by the laity in the Novus Ordo Mass, is only an indult. An indult is an exception, a privilege, that can be taken away at any time so deemed necessary. It is not a right. When one travels all over the world, Catholics in most countries only receive the Holy Host. That is because these countries never ever received permission (indult) to also give the Chalice to the people. Most American Catholics will be very surprised to find out that, when attending Holy Mass at the Vatican, you will only receive the Holy Host. Byzantine Catholics do receive the consecrated bread dipped into the consecrated wine which is usually poured into the mouth of the communicant from a small dipper. Even thought it is correct to say “receive the Body of Jesus (Host) or receive the Blood of Jesus (Chalice), I am trying to avoid using these words because it tends to separate Jesus into His Body and His Blood. 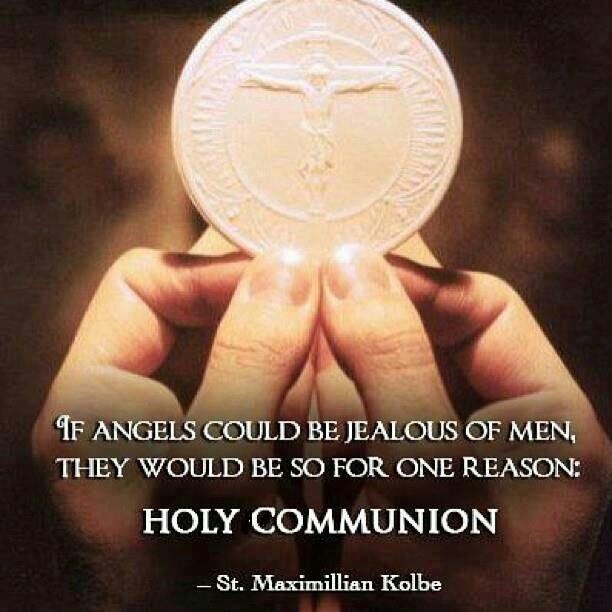 That is impossible to do because as the council of Trent clearly stated, (again what Catholics have always believed), Jesus is totally present in either the Host or the Chalice. If one were to receive only the Precious Blood, Jesus is totally present. If one were to receive only the Host, Jesus is totally present. We have enough worries on protecting the Holy Host from being dropped and its fragments being walked on. It is very easy to have an accident with the Precious Blood spilling. I have seen it spelt many times on the floor. Another grave reason for receiving Jesus only in the Holy Host, is that it is very hard to purify the Chalices that the Extraordinary Ministers of Holy Communion administer it in. They rotate the chalice as they administer it and purify it after each person receives from it. So the Precious Blood is all around the inside surface of the chalice. In the Holy Latin Mass the priest only drinks the Precious Blood from the chalice from the side of the chalice above the cross so that he after that he can purify chalice precisely where the Precious Blood flowed when he consumed it. In the first ablution, the priest holds the chalice in a certain way to be sure that the altar boy will pour wine exactly over where the Precious Blood had been consumed in the chalice. Then the priest, with paten under his chin, consumes the wine from the same spot of the chalice. There is then a second ablution of wine and water to be sure that every molecule of the Precious Blood is consumed before the chalice is purified by an purificator. In the Novus Ordo mass, the chalice is only purified with water one time. I would purify the chalice with plenty of water. 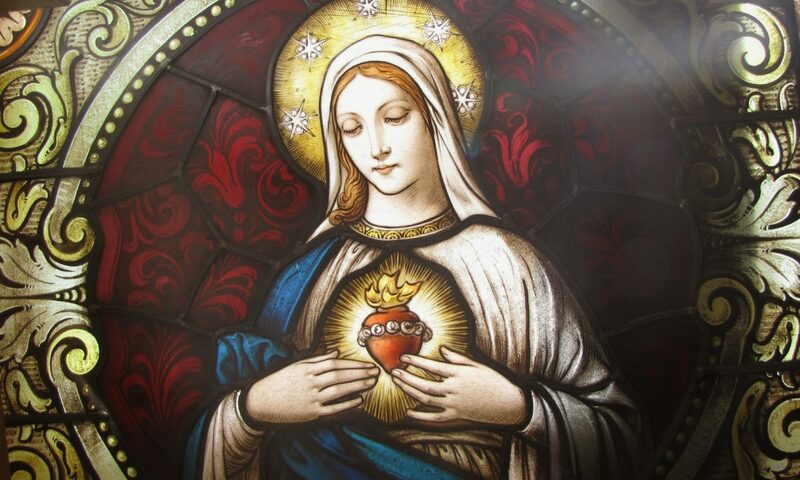 But what I found out was that after rinsing it out with water, when I went to dry it with the purificator, there would be red wine stain on the purificator from the molecules of the Precious Blood that still adhered to the Chalice even after being rinsed with water. Using wine to purify is much more effective. Then wine and water. We are so blessed to be traditional Catholics and to be able to kneel and receive Jesus’ Body, Blood, Soul and Divinity in the Holy Host. 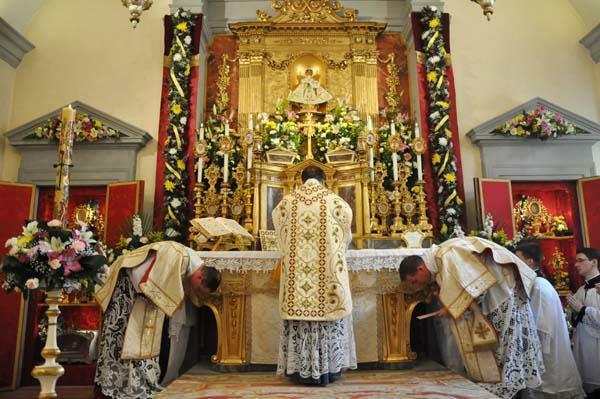 Even the bishop and other priests at the Holy Latin Mass are thankful to receive only the Holy Host. They do not receive the chalice. At an ordination, the new priests does partake from the chalice.